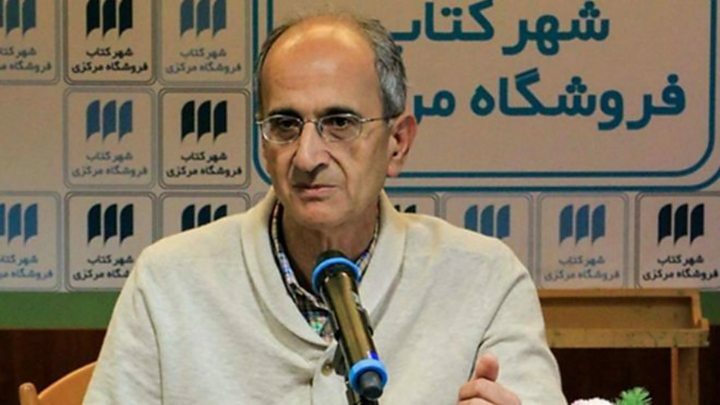 Iran's judiciary says a prominent Iranian environmentalist in a Tehran prison killed himself because of the evidence against him in a spying case. Kavous Seyed-Emami, 63, a dual Canadian national, was arrested last month. His son said he did not believe he had taken his own life. And one of his colleagues said Iran's academic community was in shock. Activists say there have been other suspicious deaths among detainees that have been labelled as suicide. Mr Seyed-Emami ran the Persian Wildlife Heritage Foundation and was a sociology professor. "He was one of the defendants in a spying case and unfortunately he committed suicide in prison since he knew that many had made confessions against him and because of his own confessions," Tehran prosecutor Abbas Jafari-Dolatabadi told the ILNA news agency. The Iranian authorities told Mr Seyed-Emami's wife he had died in Evin prison on Friday, Mr Seyed-Emami's son Raam Emami said. "The news of my father's passing is impossible to fathom," he said in social media posts. "They say he committed suicide. I still can't believe this." The Iran Sociology Association also questioned the official account of his death. "The information published about him is not believable and we expect officials to respond," it said in a statement. Meanwhile Ali Shakourirad, head of the reformist Islamic Union Party, tweeted that the death had "caused a wave of questions and concerns among the public". An academic who knew Mr Seyed-Emami told AFP news agency the Iranian academic community was "in shock". "He was one of the best professors," the academic said. "He was very profound, very composed, not at all political. He loved Iran and the environment." On Saturday the prosecutor said the Iranian authorities had arrested people who had been gathering classified information "under the coverage of scientific and environmental projects". Reports say at least seven people were arrested at the same time as Mr Seyed-Emami, including an Iranian-American dual national, Morad Tahbaz. The news of Mr Seyed-Emmi's death comes after the Iranian authorities announced that two Iranians arrested during the recent wave of anti-government protests had killed themselves in prison. Their families, activists and lawyers have rejected this explanation and called for an independent investigation. Mr Seyed-Emami is the second Iranian-Canadian dual national to die in prison in Iran. In 2003 Zahra Kazemi, 54, was beaten to death after being arrested for taking photographs outside Evin prison.